India is a signatory to the New York Convention on the Recognition and Enforcement of Foreign Arbitral Awards 1958 (the Convention). India signed the Convention on 10 June 1958 and ratified on 13 July 1960. The Convention has been in force in India since 11 October 1960. India has taken reservations under article I of the Convention. These reservations clarify that, in India, the Convention applies only to recognition and enforcement of awards made in the territory of another contracting state under the Convention and only to differences arising out of legal relationships, whether contractual or not, that are considered commercial under Indian law. India is also a contracting party to the Geneva Convention of 1927. However, this Convention ceased to apply to those awards to which the New York Convention applies. Until 1996, three enactments governed the law of enforcement of arbitration awards in India. The Arbitration Act 1940 for the enforcement of domestic awards, the Arbitration (Protocol and Convention) Act 1937 to give effect to the Geneva Convention awards and the Foreign Awards (Recognition and Enforcement) Act 1961 to give effect to the New York Convention awards. The enactment of the Arbitration and Conciliation Act 1996 (the Arbitration Act) in August 1996 repealed all of the above statutes. The Arbitration Act contains two parts. Part I deals with any arbitration conducted in India and the enforcement of awards thereunder, and Part II deals with the enforcement of foreign awards to which the New York Convention or the Geneva Convention applies. The 246th Law Commission Report (LCR) proposed amendments to various provisions of the Arbitration Act, of which only certain select recommendations have been included in the Arbitration and Conciliation (Amendment) Act 2015 (the Amendment Act). The report is available at www.lawcommissionofindia.nic.in/reports/report246.pdf. Notable changes, including most of the amendments recommended by the 246th LCR, were brought to the Arbitration Act through the Arbitration and Conciliation (Amendment) Ordinance 2015. The Ordinance was thereafter passed by the two houses of parliament, the Lok Sabha and the Rajya Sabha, on 17 and 23 December 2015. The Amendment Act received the assent of the president of India on 31 December 2015 and is deemed to have come into force on 23 October 2015. The Amendment Act was notified in the Official Gazette of India on 1 January 2016. India is not a signatory to the Washington Convention on the Settlement of Investment Disputes between States and Nationals of other States of 1965. It is also not a signatory to the Mauritius Convention on Transparency in Treaty-based Investor-State Arbitration 2014. India has entered into several bilateral and multilateral investment agreements. As of November 2017, India is a signatory to 67 bilateral investment promotion and protection agreements (BIPAs), out of which 58 are in force and nine are signed but not in force. However, with the adoption of the New Model BIPA on 28 December 2015, the government has decided to terminate all the BIPAs (58 BIPAs) that are up for termination so that new BIPAs, on the lines of the New Model bilateral investment treaty (BIT), may be adopted. With respect to the remaining nine BITs that are not yet up for termination (ie, where the initial duration for which the BIT was signed for has not expired), the government has decided to issue a joint interpretative statement interpreting the standards and application of various terms of the BIT. India is also a signatory to several multilateral treaties on investments including the SAFTA (2004), BIMSTEC Framework Agreement (2004), ASEAN-India Framework Agreement (2004), India-MERCOSUR Framework Agreement (2003), EC-India Cooperation Agreement (1993), GCC-India Framework Agreement (2004) and ASEAN-India Investment Agreement (2014) among several other CECA, CEPA, FTA, EPA and Framework Agreements. India is signatory to a total of 14 multilateral agreements. The primary domestic source of law relating to domestic and foreign arbitral proceedings, and recognition and enforcement of awards is the Arbitration Act. The Arbitration Act lays down guidelines for domestic arbitration, international commercial arbitration, conciliation, and enforcement of domestic and foreign awards. Part I of the Arbitration Act provides general provisions, applicable to all arbitral proceedings in India. Section 36 of the Arbitration Act provides for enforcement of the arbitral award under the Code of Civil Procedure in the same manner as if it were a decree of a court. Further, the proviso of section 36 of the Amendment Act mandates that the court, while considering the application for grant of stay in the case of an arbitral award for payment of money, has due regard to the provisions for grant of stay of a money decree under the provisions of the Code of Civil Procedure 1908. Part II provides guidelines for the enforcement of certain foreign awards. Chapter I of Part II covers awards under the New York Convention, whereas Chapter II of Part II covers awards under the Geneva Convention. Sections 44 and 53 of the Arbitration Act define a ‘foreign award’ as an arbitral award on differences arising out of legal relationships, whether contractual or not, considered as commercial under the law in force in India. The award should be in pursuance of an agreement in writing for arbitration, and an award made in a country that has been identified as having a reciprocating jurisdiction. The term ‘commercial’ has not been defined by the Arbitration Act; however, courts have propounded a wide interpretation of the term. In Union of India and Ors v Lief Hoegh Co (Norway), a 1984 case, the concept of a commercial relationship was taken to mean those arising out of, or incidental or ancillary to, business dealings. However, the general trend in case law has been to interpret the word commercial widely. Guidance can also be taken from the UNCITRAL Model Law (the Model Law), which considers ‘consulting’ and ‘commercial representation or agency’ to fall under this category as well. The provisions of sections 9, 27, 37(1)(a) and 37(3) of the Arbitration Act shall, per the Amendment Act, also apply to an international commercial arbitration, even if the place of arbitration is outside India, unless parties contract to the contrary. An arbitral award made or to be made in such place would be enforceable and recognised under the provisions of Part II of the Arbitration Act. Section 9 pertains to interim measures sought from a court. Section 27 refers to court assistance in taking evidence, section 37(1)(a) relates to right to appeal against the refusal of a court to refer the parties to a suit to arbitration where there is an arbitration agreement between such parties and section 37(3) states that no second appeal shall lie from an order passed in appeal under section 37 except to the Supreme Court of India. The Arbitration Act is divided into four parts. Parts I and II contain extensive provisions relating to arbitration agreements, the composition of an arbitral tribunal, the jurisdiction of arbitral tribunals, the conduct of arbitration proceedings, interim measures by the court, recourse against arbitral awards and enforcement of arbitral awards. Part III deals with conciliation proceedings, the procedure for appointment and conduct of conciliation proceedings. The role of the conciliator is sufficiently elucidated in this Part. Part IV provides ‘Supplemental Provisions’ to remove any procedural difficulty or ambiguity. Part I is largely based on the original 1985 version of the Model Law. Part II mostly deals with enforcement of foreign awards governed by the New York and Geneva Conventions. any controversy concerning the failure or impossibility of an arbitrator to act and the termination of the mandate of the arbitrator by the court is subject to appeal, as against the Model Law that specifically provides that such decision of the court shall not be subject to an appeal. provisions in case of insolvency (section 41). costs will follow an arbitral award (section 31A). The parties are free to make agreements in certain matters, such as determining the number of arbitrators, the procedure for appointing an arbitrator, the seat and venue of arbitration, and determining the law that governs the arbitration proceedings. However, in the case of arbitrations with a seat in India, certain provisions on procedure contained in Part I of the Arbitration Act are mandatory and parties are not allowed to depart from the same. provisions relating to jurisdiction and limitation (sections 42 and 43). with respect to the cost regime (section 31A). For domestic arbitrations (ie, arbitrations, other than international commercial arbitration, with a seat in India), the applicable law is the substantive law of India in force at the time (ie, the Arbitration Act). For international commercial arbitrations, the arbitral tribunal shall decide the disputes in accordance with the rules of law designated by the parties as applicable to the substance of the dispute. This is a mandatory provision contained in section 28(1)(b)(i) of the Arbitration Act and cannot be contracted out of by the parties. If the parties fail to designate the law, the arbitral tribunal shall apply rules of law it considers to be appropriate in the circumstances of the case. This provision is contained in section 28(1)(b)(iii) of the Arbitration Act and cannot be contracted out of by the parties. In such circumstances, the law applied is generally the law with which the contract is most closely connected. Factors such as the nationality of the parties, the place of performance of the contract, the place the contract was entered into, and the place of payment under the contract can be examined to ascertain the intention of the parties. The designation of the law of any country by the party is construed to mean the substantive law of the country in question, unless there is an express designation by the parties to the contrary. The arbitral tribunal shall decide ex aequo et bono or as amiable compositeur only if the parties have expressly authorised it to do so. The Amendment Act now also provides that in any event and in all cases, the arbitral tribunal shall take into account the terms of the contract and trade usages applicable to the transaction - a relaxation of the earlier provision that mandated that the terms of the contract must be strictly adhered to while deciding and making an award (section 28(3)). Of these, the ICA is the most recognised and widely used institution and is governed by Rules of Arbitration and Conciliation (as amended on and with effect from 8 May 2012) for domestic arbitration. The ICA now also provides for Rules of International Commercial Arbitration (with effect on and from 1 January 2014). The MCIA, which was formally launched in Mumbai, India, on 8 October 2016, is a first-of-its-kind arbitral institution in India, established in a joint initiative between the government of Maharashtra and the domestic and international business and legal communities. The MCIA aims to be India’s premier forum for commercial dispute resolution, and provides its own rules for the conduct of arbitration. The MCIA Rules came into effect on 15 June 2016. The administration fees and the arbitrator’s fee schedules have been reproduced below. In relation to the ICA, the arbitrator’s fee (for each arbitrator) and ICA administrative charges in international commercial arbitrations (in US dollars) are fixed separately with regard to the amount in dispute, including a determined interest in each case, and can be found here: www.icaindia.co.in/htm/clouse.htm. The fees of an arbitrator in a domestic arbitration ranges from 60,000 rupees for a claim up to 500,000 rupees to a maximum of 3 million rupees for claims over 100 million rupees. Administrative charges are separately payable as per the amount of claim in the arbitration. There are certain disputes that are not arbitrable, although the Arbitration Act does not expressly exclude any dispute as non-arbitrable. However, courts can set aside the award if the substance of the dispute is such that settlement by arbitration is not possible under the laws in force, or if the award conflicts with public policy. In general, disputes that can be decided by a civil court that involve rights in personam can be referred to arbitration. matters relating to eviction or tenancy governed by special statutes; enforcement of mortgage; matters under the securitisation laws; and in general matters for which the jurisdiction lies with the Debt Recovery Tribunal. In Shri Vimal Kishor & Ors v Mr Jayesh Dinesh Shah & Ors, decided on 17 August 2016, the Supreme Court held that cases arising out of a trust deed cannot be the subject matter of arbitration. In Booz Allen and Hamilton Inc v SBI Home Finance Ltd & Ors (AIR 2011 SC 2507), the Supreme Court ruled that a suit for enforcement of a mortgage by sale of the mortgaged asset was non-arbitrable, as it involved a right in rem. In a recent judgment of the Bombay High Court in Eros International Media Ltd v Telemax Links India Pvt Ltd (decided on 12 April 2016), copyright disputes were held to be arbitrable. In the case of such arbitrations covered by the New York Convention, the Court can decline to make a reference of a dispute covered by the arbitration agreement only if it comes to the conclusion that the arbitration agreement is null and void, inoperative or incapable of being performed, and not on the ground that allegations of fraud or misrepresentation have to be inquired into while deciding the disputes between the parties. However, the decision in N Radhakrishnan was not held to be per incuriam. This decision has also been distinguished in Swiss Timing v Organising Committee, Commonwealth Games (2014) 6 SCC 677, and A Ayyasamy v A Paramasivam (2016) 10 SCC 386, which held that even domestic disputes involving allegations of fraud arising out of contracts bearing an arbitration clause shall be referred to arbitration. 3. Can also be a reference in a contract to a document containing an arbitration clause if the contract is in writing and the reference is such as to make that arbitration clause part of the contract. Section 7(4)(b) of the Amendment Act permits the creation of arbitration agreements through electronic communication. Such agreements shall also be regarded to fulfil the requirements of section 7.
in a contract wherein one of the contracting parties is an insolvent and a dispute arises, the arbitration agreement cannot be enforced unless the receiver seeks permission from the judicial authority for an order directing that the matter in question shall be submitted to arbitration. Recently, courts have ensured that poorly drafted (or even ‘pathological’) arbitration clauses will be given effect to in the best possible way and parties will be referred to arbitration. See, for example, Pricol Ltd v Johnson Controls Enterprises Ltd & Ors (2015) 4 SCC 177, where the Supreme Court referred parties to arbitration even though the clause provided for reference to arbitration under the arbitration rules of the Singapore Chamber of Commerce (a non-existent institution), by construing it to mean a reference to the Singapore International Arbitration Centre (SIAC). The Arbitration Act does not provide for third parties or non-signatories to be bound by an arbitration agreement. An arbitration agreement remains valid even if the underlying contract has been assigned to a third party. Section 37 of the Indian Contract Act 1872 provides that a contract may be performed by a person’s legal heirs on his or her death, unless a contrary intention is evident from the contract. The same principle would apply to arbitration agreements. In the case of insolvency, as stated above, the receiver may adopt the contract to be enforceable by or against him or her. The Amendment Act has provided for third parties to subject themselves to an arbitration agreement (domestic arbitrations seated in India) by amending section 8 to allow parties, or those claiming through or under such party, to apply to the court to refer the dispute to arbitration. This amended wording is identical to the wording contained in section 45, which provides for a party, or any person claiming through or under him or her, to apply to the court to refer a dispute (international commercial arbitration) to arbitration. Non-signatories to an arbitration agreement have also been referred to arbitration under a section 45 application in Chloro Controls (I) P Ltd v Severn Trent Water Purification Inc and Ors (2013) 1 SCC 641, wherein the Supreme Court observed that any person claiming through or under a party to the arbitration agreement could also initiate arbitration. Such reference has been denied in a section 8 application (for domestic arbitrations) in Sukanya Holdings v Jayesh Pandya (2003) 5 SCC 531. However, the 2015 amendments should not permit such references in accordance with the language in section 45 and the decision of the Supreme Court in Chloro Controls. The Arbitration Act does not provide for joinder or third-party participation in arbitration. In Sukanya Holdings Pvt Ltd v Jayesh H Pandya and Anr (AIR 2003 SC 2252), the Supreme Court held that parties who were not signatories to the agreement cannot be added to the proceedings by the Court. Similarly, in Indowind Energy Limited v Wescare (India) Ltd & Anr (2010) 5 SCC 306, the Supreme Court held that a company that was not party to an arbitration agreement could not be joined as a party to the proceedings solely by virtue of its conduct. The groups of companies doctrine, used to extend the scope of a tribunal’s jurisdiction to companies that are not signatory to the agreement itself but are part of the corporate group that the signatory company is a part of, was until recently not recognised in India. However, in Chloro Controls, the Supreme Court held that where there are multiple transactions between parties involving several composite agreements that may have a collective bearing on a dispute, the courts will have the power to direct even a non-signatory to be joined as a party to the arbitration. This would be applicable in exceptional cases only, depending on the commonality of the subject matter and whether the various agreements formed a composite transaction, where the performance of the main agreement would not be possible or feasible without the execution of the other agreements. The Arbitration Act does not particularly stipulate any special requirements for a valid multiparty arbitration agreement. The requirements contained in section 7 of the Arbitration Act for single arbitration agreements shall apply to multiparty arbitration agreements. In Olympus Superstructures v Meena Vijay Khetan (1999) 5 SCC 651, the court found that in cases where a main agreement exists among multiple parties, and disputes arise under various sub-agreements to which all parties are not signatories, and a dispute arises in relation to issues that overlap, parties may be referred to a single arbitration by relying upon a widely drafted clause in the main agreement. Pursuant to the Amendment Act, when a person is approached in connection with his or her possible appointment as an arbitrator, he or she is required to disclose in writing circumstances such as the existence, either direct or indirect, of any past or present relationship with, or interest in, any of the parties or in relation to the subject matter in dispute, whether financial, business, professional or another kind, which are likely to give rise to justifiable doubts as to his or her independence or impartiality, or that are likely to affect his or her ability to devote sufficient time to the arbitration, and in particular his or her ability to complete the entire arbitration within a period of 12 months. This declaration is required to be made in accordance with the format provided in the Sixth Schedule. The Amendment Act has introduced grounds (under the Fifth Schedule) that may determine whether circumstances exist that give rise to justifiable doubts as to the independence or impartiality of an arbitrator. The Amendment Act also introduces the categories (under the Seventh Schedule) in relation to an arbitrator’s relationship with the parties, counsel or the subject matter of the dispute, under which a person shall be ineligible to be appointed as an arbitrator. Some instances of these categories include a person who is an employee, consultant, adviser or has any other past or present business relationship with a party; currently represents or advises one of the parties or an affiliate of one of the parties; represents the lawyer or law firm acting as counsel for one of the parties; or is a lawyer in the same law firm that is representing one of the parties. Section 11(1) of the Arbitration Act states that a person of any nationality may be an arbitrator, unless otherwise agreed by the parties. If the parties fail to appoint an arbitrator - or in an arbitration tribunal of three arbitrators, the two arbitrators fail to appoint the presiding arbitrator within 30 days of the dispute - recourse is to the High Court or any designated person or institution for appointment of the arbitrator or presiding arbitrator as the case may be (section 11(6)). In international commercial arbitration, recourse is available only with the Supreme Court or any designated person or institution, as reflected in the Amendment Act. In a dispute between Assignia-VIL JV and Rail Vikas Nigam decided on 29 April 2016, the Delhi High Court observed that if the arbitrator and the parties enjoy any of the relationships mentioned in the Seventh Schedule to the Arbitration Act, the arbitrator cannot be appointed. One of these relationships is that of employer-employee. In Reliance Industries & Ors v Union of India (Arbitration Petition No. 27 of 2013) (Supreme Court of India, order dated 31 March 2014), it was highlighted that the trend of appointing an arbitrator from a ‘neutral nationality’, which is now universally accepted, will also be adopted under the Arbitration Act. In the majority of domestic arbitrations, arbitrators are primarily retired judges or practising lawyers. Section 11 of the Arbitration Act provides for appointment of arbitrators by the parties or the court, as the case may be, which gives discretion with regard to the person appointed as the arbitrator. That being the case, lawyers and judges are preferred in most arbitrations owing to the frequency of arbitrations handled by them and the indispensable practical experience. In disputes requiring technical expertise, non-lawyers such as engineers or securities experts have been appointed as part of three-member tribunals because of their relevant expertise. For instance, the ICA website has a section that contains the names of qualified arbitrators from various fields, such as judges, advocates, engineers, chartered accountants, executives, maritime experts, businesspeople and foreign nationals. There is no specific mandate or direction by any domestic arbitral institutions to ensure gender diversity in appointments. However, several practitioners on the MCIA Council have taken the Pledge for Equal Representation of Women in Arbitration. failing any agreement between the parties, in an arbitration with a sole arbitrator, if the parties fail to agree on the arbitrator within 30 days from receipt of a request by one party from the other party to agree, the appointment shall be made, upon request of a party, by the Supreme Court or, as the case may be, the High Court, or any person or institution designated by such court (section 11(5)). The power of appointment of arbitrators is distributed between the Supreme Court and the high courts. For international commercial arbitrations, the Supreme Court or a designated appointing authority shall have the power to appoint the arbitrator. In domestic arbitrations, the power of appointment of arbitrators has been conferred upon the High Courts or such designated appointing authorities. In Northern Railway Administration, Ministry of Railway, New Delhi v Patel Engineering Company Limited (2008) 10 SCC 240, the Supreme Court affirmed that a court cannot intervene in the appointment of an arbitrator where the parties have specified a procedure in the agreement, unless fraud, disqualification or legal misconduct of the arbitrator has been both pleaded and proven. In a welcome move, the Supreme Court in Sun Pharmaceutical Industries Ltd v Falma Organics Limited Nigeria (Arbitration Case No. 33 of 2014, Order dated 3 May 2017), designated the MCJA as the appointing authority. This is the first known instance of the Supreme Court calling upon an independent arbitration institution to act as appointing authority under section 11 of the Arbitration Act. Section 12 of the Arbitration Act, as amended by the Amendment Act, provides that the an arbitrator is required to disclose, in writing, any circumstances that give rise to justifiable doubts as to his or her independence or impartiality, or that are likely to affect his or her ability to complete the arbitration within a period of 12 months. The Amendment Act has incorporated a modified version of the IBA Guidelines, under two new Schedules - the Fifth Schedule and the Seventh Schedule - to be read with section 12 of the Act. The Fifth Schedule lists out the grounds that give rise to justifiable doubts as to the independence or impartiality of the arbitrators, and contains categories specified in the Non-Waivable Red List, the Waivable Red List and the Orange List, as provided under the IBA Guidelines. A party may challenge its own appointment, or in whose appointment it participated, only for reasons that it becomes aware of after the appointment has been made. The Seventh Schedule lists out the grounds under which an individual is ineligible for appointment as arbitrator. The categories under the Waivable and Non-Waivable Red Lists have been included under the Seventh Schedule. All grounds under this Schedule can be waived by the parties by express agreement in writing. Section 13 of the Arbitration Act provides that the arbitral tribunal shall decide on the challenge raised by a party under section 12, and then proceed with arbitration. The challenging party may only approach the court once to challenge the award passed by the arbitral tribunal under section 34 of the Arbitration Act. When the court in such an application sets aside the award, the court may decide whether the challenged arbitrator is entitled to any fees. It is not common practice for courts to refer to the IBA Guidelines, although the Delhi High Court in Shakti Bhog Foods Ltd v Kola Shipping Ltd & Anr 193 (2012) DLT 421, did refer to these Guidelines. Section 13 of the Arbitration Act lays down the procedure to be followed in cases of challenge. Section 13 provides that a party that intends to challenge an arbitrator shall, within 15 days after becoming aware of the constitution of the arbitral tribunal, which may raise justifiable doubts as to the independence or impartiality of the arbitrator, send a statement of reasons for the challenge to the arbitral tribunal. The arbitral tribunal shall then decide on the challenge. If such challenge is unsuccessful, the tribunal shall continue arbitral proceeding and make an arbitral award. If such award is made, the party challenging the arbitrator may apply to set aside the arbitral award. Even after the introduction of new grounds of challenge in the Amendment Act, the Supreme Court in HRD Corporation (Marcus Oil and Chemical Division) v GAIL (India) Limited (Civ App 11127 of 2017, judgment dated 31 August 2017), confirmed that even if a challenge arises under Schedule Five that is dismissed by the arbitral tribunal, the court may only interfere after the passing of an award. That said, under section 14(3) of the Arbitration Act, if the mandate of an arbitrator is terminated or an arbitrator becomes de jure or de facto unable to perform his or her functions, an application can be made to the court to resolve any controversy that remains arising out of such termination of mandate. The principles of natural justice, impartiality and a fair trial guide the proceedings of the arbitral tribunal. Fairness, impartiality, independence and neutrality are, therefore, the indispensable qualities of an arbitrator. An arbitral tribunal is not a court and, therefore, the arbitrators are not judges, but the relationship between an arbitrator and the parties to the dispute is analogous to the relationship between a judge and parties to court proceedings. An arbitrator’s remuneration is fixed prior to his or her entering the arbitration and can be modified by an agreement between the parties or by an order of the court or tribunal. The parties may also increase the fee of the arbitrator. The Supreme Court held that: ‘The concept of party autonomy cannot be stretched to a point where it negates the very basis of having impartial and independent adjudicators for resolution of disputes,’ in Indian Oil Corp Ltd & Ors v M/s Raja Transport (P) Ltd (2009 (8) SCC 520). The Amendment Act has inserted the Fourth Schedule into the Arbitration Act providing for a model fee structure of arbitrators in domestic arbitrations (section 11(14)). This section shall not, however, apply to international commercial arbitration or in arbitrations (other than international commercial arbitration) if parties have agreed for determination of fees as per the rules of an arbitral institution. Section 11(14) of the Amendment Act states that the high courts may frame rules for determining the fees of arbitrators after taking the above model fee structure into account. Section 12 of the Amendment Act read with Schedule VI also requires that at the time a party approaches a potential arbitrator for appointment, the arbitrator is required to disclose information required to determine his or her eligibility as prescribed in the Act. There are no reported cases of personal liability of the arbitrators for either negligence or intentional breach of duty, although there is no specific immunity provided in this regard. It is unlikely that courts would hold arbitrators liable for negligence. In contrast, civil court judges are bound by clear rules of conduct. Section 29A, brought in by the Amendment Act, adheres to a very stringent deadline, whereby arbitrators must decide and make an award within 12 months, extendable by a further six months, failing which their mandate is terminated. Section 29A(4) contains a proviso to the effect that where the delay is attributable to the tribunal, the courts may reduce the arbitrators’ fees. Section 8 of the Arbitration Act makes provisions in relation to power of a judicial authority to refer parties to arbitration where there is an arbitration agreement. It provides that when an action is brought before a judicial authority concerning a matter that is the subject of an arbitration agreement, the judicial authority shall refer the parties to arbitration upon an application being made by a party to the dispute requesting that the dispute be referred to arbitration, unless the judicial authority finds that prima facie no valid agreement subsists. The application to refer to arbitration must be accompanied by the original arbitration agreement or a certified copy of the arbitration agreement, and must be made to the judicial authority no later than the date of submitting the first statement on the substance of the dispute. The section also provides that if original arbitration agreement or the certified copy thereof is unavailable to the party applying to the judicial authority and the same is retained by the other party to the arbitration agreement, the party applying shall have the right to apply to the judicial authority to call upon the other party to produce the original agreement. Section 45 (in Part II of the Arbitration Act, which makes provisions in relation to enforcement of certain foreign awards) provides that a judicial authority shall, at the request of one of the parties who have executed an arbitration agreement, refer the parties to arbitration, unless it finds that the said agreement is null and void, inoperative or incapable of being performed. In Ananthesh Bhakta, the Supreme Court held that the filing of the application without the original or certified copy of the arbitration agreement but bringing the original arbitration agreement on record at the time when the Court is considering the application, shall not entail rejection of the application under section 8(2). The tribunal may rule upon its own jurisdiction, including upon the validity of the arbitration agreement under section 16 of the Arbitration Act. A plea that the arbitral tribunal lacks jurisdiction must be raised at a time no later than the submission of the statement of defence. The section further provides that a plea that the arbitral tribunal is exceeding the scope of its authority shall be raised as soon as the matter alleged to be beyond the scope is raised during the arbitral proceedings. However, the tribunal has the power to admit a later plea if it considers delay in raising the plea justified. If the tribunal accepts the plea that it lacks the requisite jurisdiction to adjudicate a dispute, such an order is an appealable order under section 37(2)(a) of the Arbitration Act. If the tribunal rejects the plea that it lacks the requisite jurisdiction to adjudicate the dispute, it shall continue with the proceedings and make an arbitral award. The party aggrieved by the ruling may make an application to the court under section 34(2)(iv) of the Arbitration Act for setting aside the award on the ground that the arbitral award deals with a dispute not falling within the terms of the contemplated arbitration or that the award contains decisions on matters beyond the scope of the submission to arbitration. This application must be made within three months from the date on which the aggrieved party received the arbitral award. However, the court may entertain the application to set aside the award for a further 30 days if the applicant is able to satisfy the court that the delay was with sufficient cause. Further, the settled position of law regarding parallel proceedings occurring in relation to an arbitration between two parties is possible if a consumer forum is also considering the issue. The Supreme Court, in Fair Air Engineers (P) Ltd v NK Modi (1996) 6 SCC 385, held that consumer forums are at liberty to proceed with the matters in accordance with the provisions of the Consumer Protection Act 1986 rather than relegating the parties to arbitration proceedings pursuant to a contract entered into between the parties. The reason is that the Consumer Protection Act intends to relieve the consumers of the cumbersome arbitration proceedings or civil action, unless the forums on their own, and on the peculiar facts and circumstances of a particular case, come to the conclusion that the appropriate forum for adjudication of the disputes would be other than those given in the said Act. Section 20(2) of the Arbitration Act provides that, failing any agreement between the parties on the place of arbitration, the place of arbitration shall be determined by the arbitral tribunal having regard to the circumstances of the case, including the convenience of the parties. Furthermore, section 22(2) of the Arbitration Act provides that, failing any agreement on the language to be used in the arbitral proceedings, the arbitral tribunal shall determine the language or languages to be used in the arbitral proceedings. Section 21 of the Arbitration Act provides that in the absence of an agreement between the parties, the arbitral proceedings in respect of a particular dispute shall commence on the date on which a request for that dispute to be referred to arbitration (notice of arbitration) is received by the other party. The communication by a party of the recourse to arbitration and a requirement that the other party should do something on its part in that regard will in general suffice to define the commencement of arbitration. There are no formal requirements for a notice or request prescribed under the Arbitration Act. The communication should make it clear that the arbitration proceedings are commenced, and not merely indicate the intention of initiating arbitral proceedings. The commencement of the arbitration proceedings will depend on the nature of the arbitration being ad hoc or institutional. In the case of an institutional arbitration, the rules of the institution will govern the initiation of the arbitration, and in case of an ad hoc arbitration, the arbitral tribunal will determine the procedure of filing the pleadings, etc. Section 19 of the Arbitration Act provides that the parties are free to adopt their choice of procedure governing the arbitral tribunal. The Code of Civil Procedure and the Indian Evidence Act are not applicable to arbitration proceedings, unless otherwise agreed by the parties. Section 24(1) of the Arbitration Act states that the arbitral tribunal shall decide whether to hold oral hearings for presentation of evidence or oral arguments, or whether the proceedings can be conducted on the basis of documents and other materials. The section further provides that the tribunal shall hold oral hearings if a party requests it, unless the parties have agreed that no oral hearings will be held. In order to complete the arbitration in an efficient manner, the section also provides that, as far as possible, the arbitral tribunal shall hold oral hearings for the presentation of evidence on a day-to-day basis and not grant any adjournments, unless sufficient cause is made out and the tribunal is empowered to impose exemplary costs on the party seeking such adjournment without sufficient cause. Fast-track procedure is an option available to the parties to an arbitration under section 29b of the amended arbitration act. If parties elect the applicability of fast-track procedure, the dispute shall be decided by the tribunal on the basis of written pleadings, documents and submissions filed by the parties without any oral hearing. Further, section 29b(c) states that an oral hearing may only be held if all the parties make a request or if the arbitration tribunal considers it necessary to have oral hearing for clarifying certain issues. The Indian Evidence Act is not applicable to arbitration proceedings, unless otherwise agreed by the parties. Parties and tribunals are free to seek guidance from the IBA Rules on the Taking of Evidence in International Commercial Arbitration. Section 26 of the Arbitration Act authorises the arbitral tribunal to appoint an expert subject to an agreement between the parties. When authorising the tribunal to appoint an expert, the parties may also stipulate that the appointment should be made with their consent. It will be open to a party or to the arbitral tribunal to require the expert, after delivery of his or her report, to participate in an oral hearing where the parties would have an opportunity to put questions to him or her. Section 24(3) of the Arbitration Act mandates the arbitral tribunal to communicate to the parties any expert report or evidentiary document on which the arbitral tribunal is relying on. Witnesses appearing before an arbitral tribunal can be sworn in by the tribunal and required to state the truth on oath before any person authorised to administer oaths. A party to a dispute may agree to be bound by the special oath of the other party and have the evidence taken after administration of a reasonable form of oath. However, arbitrators can force unwilling witnesses to appear before the arbitral tribunal only with the court’s assistance as provided under section 27 of the Arbitration Act. This section prescribes that the application must specify the name and address of any person to be heard as a witness or expert witness, a statement of the subject matter of the testimony required, and a description of any document to be produced or property to be inspected. Any person failing to attend in accordance with any process, making any other default, refusing to give evidence or being guilty of any contempt of the arbitral tribunal shall be subject to the same penalties and punishment as he or she would incur for the same offences in suits tried before a court. Section 27 of the Arbitration Act provides that the powers of the court in an arbitration matter, upon an application made by the arbitral tribunal or a party with the approval of the arbitral tribunal, includes the power to issue summonses, issue commissions, compel attendance, compel the production of documents, and perform the inspection and discovery of documents. The court may intervene upon the failure of such witnesses to attend, or if they refuse to give evidence or are guilty of any contempt of the arbitral tribunal during arbitral proceedings, and the court may subject such persons to penalties or punishments, after representations from the arbitral tribunal, similar to what they would incur for such offences if they occurred in court. There is no statutory provision regarding confidentiality in the Arbitration Act. However, arbitration is by its nature a private process between the arbitrator and the parties, unlike other proceedings that are held in open court, thus offering confidentiality to arbitration proceedings. No person other than the parties and their legal representatives can attend the proceedings, unless with the permission of the parties. Section 9 of the Arbitration Act provides a party a right to approach a court before or during arbitral proceedings, or any time after the making of an award but before its enforcement, to seek interim relief in the nature of appointment of a guardian for a minor or a person of unsound mind; preservation, interim custody or sale of any goods that are the subject matter of an arbitration agreement; securing the amount in dispute in the arbitration; or the detention, preservation or inspection of property or the subject matter of arbitration, or the appointment of a receiver in respect of such goods. The court may also pass any other order necessary to protect the interests of the parties insofar as it does not impede the arbitration proceedings. Section 9 further provides that if an order is passed by a court before the commencement of the arbitral proceedings, the proceedings shall be commenced within a period of 90 days from the date of such order or such further time as the court may determine. In addition to section 9, pursuant to which a party may apply to a court for interim relief, section 17 of the Arbitration Act gives a party a right to approach the arbitral tribunal itself for seeking interim relief of the aforesaid nature during either the arbitration proceedings or after the making of the award (but before it is enforced). Pursuant to the Amendment Act, once the arbitral tribunal has been constituted, the court shall not entertain an application for interim measures, unless the court finds that circumstances exist that may not render the remedy provided under section 17 efficacious. Section 17 of the amended Arbitration Act clarifies that an arbitral tribunal shall have the same power for making orders as the court has for the purpose of, or in relation to, any proceedings before it. Subject to any orders passed in appeal under section 37, any order issued by the arbitral tribunal under section 17 shall be deemed to be an order of the court for all purposes and shall be enforceable in the same manner as if it were as such. There are no provisions for the appointment of emergency arbitrators under the Arbitration Act. However, institutional rules of arbitration such as the International Chamber of Commerce Rules on Arbitration (ICC Rules) and the SIAC Rules, which are popularly used as the procedural rules for conducting arbitration proceedings, even if the seat is in India, contain provisions for the appointment of emergency arbitrators by parties to obtain interim measures. Further, the LCIA Arbitration Rules contain provisions for the expedited formation of an arbitral tribunal, emergency arbitrator and the expedited appointment of a replacement arbitrator. The ICA Rules for domestic and international arbitrations, however, which have been amended with effect from 1 April 2016, include provisions for the appointment of an emergency arbitrator. The MCIA Rules also make available the services of an emergency arbitrator to determine urgent applications for interim relief before the main arbitral tribunal is appointed. Though emergency arbitration has not been expressly recognised in the Act, in spite of the recommendations of the 246th LCR, courts have enforced such orders in applications under section 9 of the Act. In Avitel Post Studioz Ltd v HSBC Pi Holdings (Mauritius) Ltd (Bombay High Court, App No. 196 of 2014 in Arb Pet No. 1062 of 2012), the Bombay High Court relied on the award of an SIAC emergency arbitrator to grant an interim mandatory injunction on the basis that the petitioner had made out a strong case on merits before the emergency arbitrator. In the case of Raffles Design International India Private Limited & Ors v Educomp Professional Education Limited & Ors, the Delhi High Court ruled that an emergency award in a foreign-seated arbitration cannot be enforced in India under the Arbitration Act. The Court relied on article 17 of the Model Law to find that the court enforcing an emergency arbitrator’s award must undertake a review of the substance of the interim measure’s claim. As stated above, pursuant to section 17 of the Arbitration Act the arbitral tribunal now has the same powers as that of a court in respect of interim measures. The arbitral tribunal may require a party to provide appropriate security as an interim measure, if it is considered a necessary measure to safeguard the right of the applicant seeking the interim measure. Section 38 of the Arbitration Act allows the arbitral tribunal to fix an amount of the deposit or supplementary deposit as an advance for costs it expects will be incurred in respect of the claims submitted to it. This provision also provides for a separate amount of deposit to be paid for counterclaims. This deposit is to be payable in equal shares by the parties, but if one of the parties fails to pay its share, it may be deposited by the other party. If this deposit is not paid by either party, the arbitral tribunal may suspend the proceedings with respect to the claims or counterclaims with regard to which the deposits have not been paid. Pursuant to section 39 of the Arbitration Act, the arbitral tribunal will have a lien on the award for any unpaid costs of the arbitration. ‘Guerilla tactics’ in arbitration proceedings are perceived to be unconventional means that tend to undermine the dispute resolution mechanism’s envisioned mode of operation. There is no express provision under the Arbitration Act empowering the arbitral tribunal to order sanctions against parties or their counsel who use guerrilla tactics in arbitration. However, generally, it is seen that the arbitral tribunals do impose exemplary or punitive costs on a party for obvious delaying tactics, unjustified challenges, absence from proceedings or even withholding of evidence. Courts even impose costs on a party for a challenge, which has been noticeably used to delay arbitral proceedings. Section 35A of the Code of Civil Procedure deals with compensatory costs in respect of false and vexatious claims. Section 35B deals with costs for causing delays. The Amendment Act introduces section 31A, which expressly deals with the regime of costs in arbitration proceedings. Subsection 1 of this section strictly deals with costs relating to the proceedings of the arbitral tribunal, namely: fees and expenses of the arbitrators, courts and witnesses; legal fees and expenses; administration fees for the institution supervising the arbitration; and any other expenses incurred in connection with the arbitral or court proceedings, and the arbitral award. Factors determining the imposition of costs as above include the conduct of parties. Section 29(1) of the Arbitration Act provides that in the absence of an agreement to the contrary, any decision of an arbitral tribunal consisting of more than one arbitrator shall be made by a majority of all the members of the tribunal. The Arbitration Act does not require a unanimous verdict of the arbitral tribunal to declare an award. Courts have held that a dissenting arbitrator may sign the award with his or her dissenting opinion. Alternatively, he or she may not sign the award at all. However, such actions will not affect the validity of an award. An arbitrator refusing to take part in a vote or sign the award will also not impair the award. it shall include the date and place, and be delivered to each party to the arbitration. Section 29A of the Arbitration Act provides for a time limit of 12 months for the arbitral tribunal to decide and make an award. This period can only be extended by a maximum of six months upon agreement by the parties. If the award is not made within the stipulated period, the mandate of the arbitrators stands terminated. Section 29A also states that where the award is made within a period of six months, arbitrators shall be entitled to claim additional fees from the parties. However, the proviso to section 29A(4) states that if there is any delay beyond the agreed upon or specified extension of time, and if such delay can be attributed to the arbitral tribunal, the fee of the arbitrators will be reduced by up to 5 per cent of the original fee, for each month of such delay. The ICADR Rules provide for a specified time for making an award after the conclusion of proceedings in case of a fast-track arbitration. The ICA Rules and FACT Rules provide that the arbitral tribunal shall render the award preferably within six months and subject to a maximum period of two years from the date of reference. Article 30 of the ICC Rules states that the arbitral tribunal must render its final award within six months from the date of the last signature by the arbitral tribunal or from the date of the terms of reference of the dispute as set out under the ICC Rules. However, this time limit can be extended at the request of the parties or of the arbitral tribunal by the court of international arbitration under the ICC Rules. Section 34(3) of the Arbitration Act provides that an award becomes final after three months from the date of the award, unless one of the parties files an application for setting aside the award. However, if the applicant shows sufficient cause, the court can extend the time limit of three months by a further 30 days. Section 33(1)(a) of the Arbitration Act permits any party to request the arbitral tribunal to correct any computational, clerical or typographical errors, or other errors of a similar nature, within 30 days from the receipt of the arbitral award, unless another period has been agreed upon by the parties. Section 36 of the Arbitration Act provides that the award shall be enforced under the Code of Civil Procedure in the same manner as if it were a decree of the court, upon the expiration of the time limit for filing an application for setting aside the award (provided under section 34(3)) or such application has been refused. In Northern Railway v M/s Pioneer Publicity Corp Pvt Ltd, decided on 1 September 2015, the Supreme Court observed that section 34(3) of the Arbitration Act has no application in the refiling of a petition but only applies to the initial filing of the objections under section 34 of the Act. The arbitral tribunal may grant interim, partial or final awards. An interim award may be passed by the arbitral tribunal subject to the final determination of the dispute. A final award is an award that finally determines all the issues in dispute between the parties that have been referred to arbitration. A partial award may be given by the arbitral tribunal on part of the claims or issues brought before the arbitral tribunal. The parties may continue to arbitrate on the remaining issues. Under section 30 of the Arbitration Act, if the parties to the dispute arrive at a settlement, the arbitral tribunal may terminate the proceedings and record the settlement in the form of an arbitral award. the arbitral tribunal finds that the continuation of the proceedings has, for any reason, become unnecessary or impossible. Section 31(8) of the Arbitration Act provides that the costs of the arbitration shall be fixed by the arbitral tribunal. Section 31A of the Act sets out the regime for costs. other expenses incurred in connection with the arbitral or court proceedings, and the arbitral award. The general rule is that costs shall follow the award (ie, the unsuccessful party will have to bear the costs of the successful party, unless the tribunal, for reasons recorded in writing, decides otherwise). The conduct of the parties and the outcome of the case will have a bearing on costs, although settlement offers will also be taken into account. Any agreement between the parties as to costs shall have effect only if the agreement is made after the dispute has arisen. Section 31(7)(a) of the Arbitration Act provides that an arbitral tribunal can award interest for the period between the date on which the cause of action arose and the date on which the award is made, and from the date of the award to the date of payment. Section 31(7)(b) states that unless the award otherwise directs, the sum directed to be paid by an arbitral award shall carry interest at the rate of 2 per cent higher than the current rate of interest prevalent on the award, from the date of the award to the date of payment. on its own motion make a correction of the kind mentioned in (i) above within 30 days from the date of the arbitral award. The arbitral tribunal may also, at the request of a party and with notice to the other party, make an additional award on claims presented in the arbitral proceedings but omitted from the arbitral award within 60 days of the receipt of such request. Additionally, the arbitral tribunal may extend the period within which it shall make a correction, give an interpretation or make an additional award, if necessary. those in violation of confidentiality and admissibility of evidence provisions in the Act. An application for setting aside an award must be made before the expiry of three months from the date on which the applicant received the arbitral award, unless it is extended by the court for a further period of 30 days if the applicant shows sufficient cause for delay. In light of the decision of the Supreme Court in the case of Bharat Aluminium Company v Kaiser Aluminium Technical Service Inc 2012 (8) SCALE 333 (the BALCO judgment), parties to a foreign-seated arbitration no longer had recourse to any Indian courts for relief. Courts in India had also granted a wide meaning to public policy and had interpreted that even an illegality under Indian law would be against public policy. The recourse to setting aside an award under section 34 is also no longer available to any party to a foreign-seated arbitration, which was earlier extended by the courts through judicial interpretation. All parties to any such foreign arbitration upon receipt of an award of a foreign tribunal, if required to be enforced in India, would need to present such an award for enforcement under section 48 of the Arbitration Act. An Indian court can review the foreign award to the limited extent provided under section 48 to examine whether it should be enforced. BALCO applies to all agreements that have been executed after 6 September 2012 for foreign-seated arbitrations. The Amendment Act has clarified the reversal of position in the BALCO judgment, by way of insertion of a proviso to section 2(2). The proviso states that sections 9 (interim relief by courts), 27 (court assistance in taking evidence), 37(1)(a) (appeals in respect of interim relief by the courts) and 37(3) (appeals to the Supreme Court) will also be made applicable to international commercial arbitrations, even where the seat of arbitration is outside India, and an award of the said arbitration will be enforceable and recognised under Part II of the Arbitration Act. In another significant ruling in the case of Shri Lal Mahal v Progetto Grano Spa Civil Appeal No. 5085 of 2013, decided on 3 July 2013, the Supreme Court not only restricted the interpretation of ‘public policy’ in the context of enforcement proceedings, but also held that the scope of public policy is narrower under section 48 than under section 34. The court held that enforcement under section 48 can only be opposed on grounds of public policy where it is contrary to fundamental policy of Indian law, the interest of India or justice and morality. In the case of ONGC v Western Geco International Ltd Civil Appeal No. 3415 of 2007, the scope of public policy under section 34(2)(b)(ii) of the Arbitration Act was once again under consideration. The Supreme Court reduced the amount awarded to Western Geco by one-third, stating that the tribunal had committed a ‘palpable error’. Further, the court, while examining if the award was in conflict with ‘public policy of India’, elaborated the scope of ‘fundamental policy of Indian law’ to include three principles to be followed by the tribunal: a judicial approach, principles of natural justice and the Wednesbury principle of reasonableness. The Supreme Court in the case of Associate Builders v Delhi Development Authority Civil Appeal No. 10531 of 2014, stated that section 34 of the Arbitration Act does not ordinarily permit the courts to review findings of facts made by arbitrators, and subsequently restored the award. The court merely clarified and has not restricted the law concerning public policy, and stated that an award can be set aside if it is contrary to fundamental policy of Indian law, interest of India, justice or morality, or if it is patently illegal. Through the introduction of section 34(2A) by the Amendment Act, an application for setting aside the award on the ground of ‘patent illegality’ as a violation of public policy shall only be applicable to awards in domestic arbitrations. Furthermore, an award shall no longer be liable to be set aside merely on the ground of erroneous application of law or re-appreciation of evidence. As per the amendment to section 36 of the Arbitration Act, the mere filing of a challenge to an award under section 34 does not render the award unenforceable unless an application is made by the challenging party, upon which the court may grant a stay on the enforcement of the award. In other words, filing of an application under section 34 does not automatically operate as a stay on enforcement proceedings. A separate application for stay will have to be applied for. a grant or refusal to grant an interim measure by the arbitral tribunal under section 17 of the Act. However, nothing shall affect or remove any right of a party to appeal to the Supreme Court. There is no set procedure or time line for decisions on the challenge; the actual time generally varies from six months to three years. Costs involved at each level are that of the fees of the attorneys’ and other legal expenses. Courts usually grant costs to the successful party; however, these costs are generally notional and not commensurate to the actual costs. A foreign award may be enforced in India under the multilateral international conventions or the New York Convention if the conventions apply to the relevant arbitration, the award was made in a country that is a party to the above conventions and the award was made in a country that is notified as a reciprocating territory. The countries notified as reciprocating territories include Australia, Austria, Belgium, Botswana, Bulgaria, the Central African Republic, Chile, Cuba, Czech Republic, Slovakia, Denmark, Ecuador, Egypt, Finland, France, Germany, Ghana, Greece, Hungary, Ireland, Italy, Japan, South Korea, Kuwait, the Malagasy Republic, Malaysia, Mauritius, Mexico, Morocco, the Netherlands, Nigeria, Norway, China (including the Special Administrative Regions of Hong Kong and Macao), the Philippines, Poland, Romania, San Marino, Singapore, Spain, Sweden, Switzerland, Syria, Tanzania, Thailand, Trinidad and Tobago, Tunisia, the United Kingdom, the United States and Ukraine. It has been held by the courts in India that if a state has been notified as a reciprocating territory for the purposes of recognition and enforcement of awards, then all territories forming part of that state would be covered under such notification. Where such state thereafter separates into different territories, as long as the new territory is also a signatory to the New York Convention, no separate notification would be required for each new territory for the purpose of recognition and enforcement of awards. The Arbitration act does not specify a time limit for filing an application for enforcement of an arbitral award under section 36 of the Act. However, section 43 of the Act sets out that the limitation act applies to arbitration. Article 136 of the limitation act prescribes that the application for enforcement must be made within 12 years from the date at which it becomes enforceable. the enforcement of the arbitral award would be contrary to public policy. Further, it has been held that a foreign award not bearing stamp duty under the Indian Stamp Act 1899 would not render it unenforceable (Shriram EPC Limited v Rioglass Solar SA 2018 SCC Online SC 1471). The concept of emergency arbitrators does not yet exist under the Arbitration Act or the new Amendment Act. However, for details on alternative modes of enforcement, see question 30. Hence, enforcement of orders by emergency arbitrators is also not yet provided under the law. However, through the introduction of section 29B, the Amendment Act has introduced the concept of fast-track procedure whereby the award shall be made within six months from the date the arbitral tribunal entered upon the reference. Costs incurred in the enforcement of an arbitral award are the costs of an attorney and court fees. Section 26 of the Arbitration Act provides that the arbitral tribunal may appoint one or more experts to report to it on specific issues to be determined by the arbitral tribunal. Section 27 provides that the arbitral tribunal, or a party with the approval of the arbitral tribunal, may apply to the court for assistance in taking evidence and the court may execute the request by ordering that the evidence be provided directly to the arbitral tribunal. In such cases, the court may issue the same processes to witnesses as it may issue in suits tried before it. There is no tendency towards US-style discovery. Written witness statements are common, followed by cross-examination. Party officers may testify. Parties and arbitrators are accustomed to dictating minutes of an arbitration meeting or even proceedings in a cross-examination to a stenographer. This is a time-consuming process that may lead to differences of opinion on the actual events. In recording details with a stenographer, often the record maybe altered to reflect what is suitable to the arbitrator and the parties. Transcription is being increasingly used but is hardly common in India. The newly introduced time limit for conducting arbitrations is expected to have a significant impact on the arbitration process and the arbitrators, whose fees may be subject to reduction if the delays are attributable to them. Arbitrators will have to adapt to a more truncated procedure to meet the deadlines. Currently, there are no rules that regulate the professional or ethical conduct of counsel in international arbitrations in India. However, as per the recommendations of the 246th LCR, the Arbitration Act has been amended to incorporate the IBA Guidelines. The practice of third-party funding of arbitral claims is not prevalent. Rule 20 under Section II of the Bar Council of India Rules prohibits an advocate from stipulating a fee contingent on the results of litigation or agreeing to share the proceeds thereof. Furthermore, third-party funding has recently been expressly recognised in the context of civil suits in states such as Maharashtra, Madhya Pradesh, Gujarat and Uttar Pradesh by virtue of their amendments to Order XXV, which provides that courts have the power to secure costs for litigation by asking a financier to become a party and depositing costs in court. However, if a third-party funding arrangement contains an extortionate or unconscionable object or consideration, such an agreement would be unenforceable under the Indian Contract Act. In AK Balaji v The Government of India and Others (AIR 2012 Mad 124), the Madras High Court held that foreign law firms or foreign lawyers cannot practise law in India, on either the litigation or non-litigation side, unless they fulfil the requirement of the Advocates Act 1961 and the Bar Council of India Rules. In a challenge to this judgment before the Supreme Court, the Court passed a final order permitting foreign practitioners to ‘fly-in-fly-out’ and advise on foreign law. The Bar Council of India has proposed draft rules by which it seeks to maintain a separate roll for foreign law firms that will also be governed by a set of practice rules framed specifically for them. These proposed practice rules, if ratified, would set out practice eligibility conditions for foreign lawyers in India. The Bill seeks to establish an independent body called the Arbitration Council of India for the promotion of arbitration, mediation, conciliation and other alternative dispute resolution mechanisms. The Bill, the Supreme Court and high courts, which parties can approach for the appointment of arbitrators, may now designate arbitral institutions. For international commercial arbitration, appointments will be made by the institution designated by the Supreme Court. For domestic arbitration, appointments will be made by the institution designated by the concerned High Court. If there are no arbitral institutions available, the chief justice of the concerned High Court may maintain a panel of arbitrators to perform the functions of the arbitral institutions. Under the 1996 Arbitration Act, arbitral tribunals are required to make their award within a period of 12 months for all arbitration proceedings. The Bill proposes to remove this time restriction for international commercial arbitrations. Currently, there is no time limit to file written submissions before an arbitral tribunal. The Bill requires that the written claim and the defence to the claim in an arbitration proceeding should be completed within six months of the appointment of the arbitrators. The Bill provides that all details of arbitration proceedings will be kept confidential except for the details of the arbitral award in certain circumstances. However, the above-mentioned are the proposed amendments whose final enactments are yet to happen before the assent of the president of India. The current status of the Bill is that it has been passed in the lower house of Parliament. As of 2018, India is signatory to 61 BITs out of which it has sought to terminate 58 treaties, including with 22 EU countries. It has sent notice of termination to the respective governments through its diplomatic channels. The Ministry of Commerce and Industry and the Department of Industrial Policy & Promotion have answered certain queries with regard to the unilateral termination. The government in these answers has stated that it proposes to renegotiate all those bilateral investment pacts whose initial validity has expired and will replace them with new BITs. The government has also identified a list of 25 countries for which BITs were signed in the past and the initial duration has not ended, in order to sign a joint interpretative statement. These countries are Bahrain, Kuwait, Finland, Saudi Arabia, China, Jordan, Libya, Iceland, Macedonia, Myanmar, Mozambique, Latvia, Bangladesh, Serbia (Yugoslavia), Sudan, Turkey, Laos, Bosnia and Herzegovina, Trinidad and Tobago, Mexico, Syria, Senegal, Lithuania, Colombia and Brunei. India has also now signed a BIT with Brazil, which does not contain an arbitration clause. Publicly available information indicates that, to date, India has been involved in 24 investment treaty arbitrations as the respondent, out of which 14 are pending, nine were settled and an award was rendered in one in favour of the investor (White Industries v India). Details of these cases can be found at http://investmentpolicyhub.unctad.org/ISDS/CountryCases/96?partyRole=2. 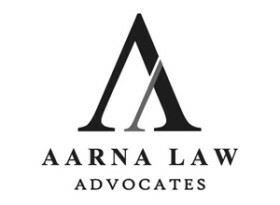 Aarna Law is a counsel-led independent boutique law practice providing a range of legal services and solutions for domestic and international clients. Though established in August 2013, the wide range of experience of its founder Shreyas Jayasimha, senior adviser Mysore Prasanna and other team members makes it a force to reckon with, particularly in the fields of domestic and international dispute resolution, corporate and commercial advisory, regulatory and forensic investigation and technology law.